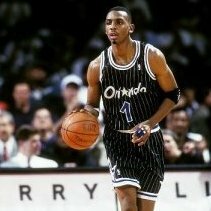 Wizard - TrueBlueNation.com - The Official Orlando Magic Fan Community! 1. Penny - I was a kid back then, just got into the NBA, and he became my favorite player straight away. Being in Europe it wasn't easy back in the day to get a lot of news about the game, even posters, merchandise, etc. But I remember Lil Penny commercials and also remember him being a guest in one of the Cosby Show episodes. Which was a huge surprise to me, as I loved Cosby (of course it was way before all of the things about him came to surface), and I loved Penny...both of those together = mind blown. 2. Nick Anderson - first pick, really gave it all for the team...and damn be those FTs. 3. Shaq - Even though I hate the way he left, and how he turned out to be a huge ego maniac, I still like the guy. Nostalgia I guess. And, also, my friend and I, when we played ball, we imagined that we were Penny (me) and Shaq (him). He was chubbier one. So, there's that as well. 4. J.J. Redick - More recent one, because I always liked good shooters, and I guess my game now resembles his the most (or Korver's, but that's pretty much the same thing). Run, catch, shoot. 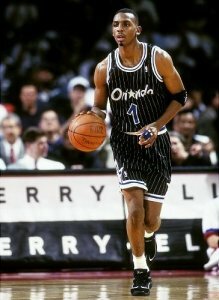 Honorable mentions - Dennis Scott, Horace Grant, Rashard Lewis, Darrell Armstrong. Could be, but his basketball IQ is too high to be overlooked. That guy always finds a way to score. Either way, he won't be as high pick as Morrison was...surely that's not that big of a gamble. Guys, what are your thoughts of McDermott? I love to have a great shooter on the team, and I think it would be great if Orlando picked him with their second pick. Victor's first half was awful to watch though, TO after TO...it looked like he had a tough night. But, he really stepped it up in the second half. Don't get me wrong, I think he will be great, just commenting on his Dr Jekyll and Mr Hyde game from last night. That pretty much sums it. Makes one think of 30Assists' thread...though it's not like this game meant a lot to us. Those 5 seconds were really a questionable call. Anyway, bad way for the refs to kill the interesting finish of the game. Good for our team is that they climbed back into the game after the bad 1st half (specially that horrific 2nd quarter). Are all of you guys on chat? Feels like a Ghost town here after the 1st quarter. If that happens, I just hope it won't be Afflalo for Waiters. Who would have guessed that Magic would be leading after first half. :) Man, Nicholson was shooting amazing, 8 of 9, including two threes. Even though Afflalo played a great game, I'd give game ball to JJ. Dude was clutch, both on offense and defense. Man, I don't know what's better, this win, or the fact that Dwight is exposing to all of the people who watch basketball as a complete and utter douche. I'll take the win, but this bonus is damn fine. Same start to the second half as i was in the first. Good game in the beginning, we cut their lead, and then instantly lose all that we've gained. It's not, but we got some young players that with good training could end up staying on the roster for quite a while. And Nelson, Redick and Afflalo are great help as well.